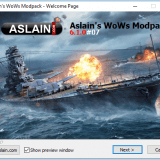 This mod does not increase the FPS in World of Warships, but rather, on the contrary, it lowers, or more precisely, sets a limit. Initially, the maximum FPS in the game is 75 frames, and this is excellent, because the difference between 60 and 300 is still not noticeable, but your video card will be loaded several times higher. It now remains to understand why it is even lower to lower this limit. And you need it for players with weak iron. 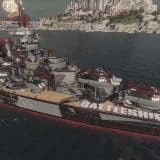 For example, if your World of Warships gives you 30-40 frames in normal mode and 20-30 during skirmishes, you can safely put a limit of 30 frames. 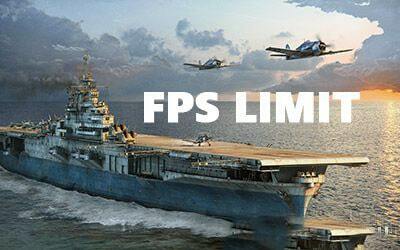 Because it is better to get used to a stable 30 frames with drawdowns when shooting than drops from 20 to 40. 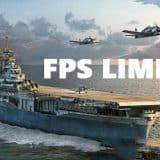 FPS drops are the most annoying. You can look at the sky or where there is only the sea and get 50 or even 60 FPS, but you should turn the camera into the thick of things and now the FPS is falling, and because of such sudden drops you feel strong brakes. The first thing you need to correctly configure the graphics in the game, for this purpose there is an article on the site where everything is described in detail, it is HERE. Then follow the FPS during the skirmishes, if it is in the region of 30 frames (+ -5) then safely put a limit of 30 frames. We assure you that the game will become more convenient, and the FPS will be more stable, because the video card will be loaded less.